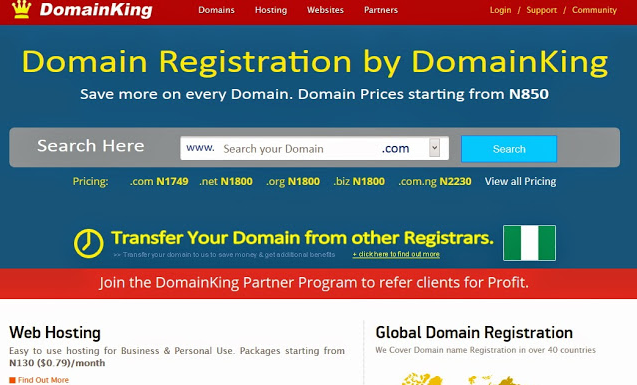 Are you considering buy domain name or hosting your site or blog on DomainKing.NG servers? Read my mercilessly honest DomainKing.NG review before you decide where to host! 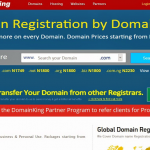 As the name implies, DomainKing.Ng is Nigeria’s number one domain name registrar. They currently operate in over 4 countries including Nigeria. 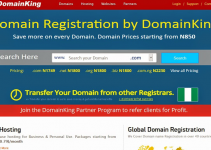 Is DomainKing is accredited Domain name Registrar? Yes, DomainKing is accredited with over 16 Asian, African & Global Domain Registries including NiRA (.NG Domain Registry), ZACR (.ZA), DotPH (.PH), NIXI(.IN), .PW & CentralNic. With this level of accreditation, they offer the best services to their clients at the lowest prices. They offer free .com or .com.ng domain when you buy from their Soldier hosting plan. See their web hosting review below. 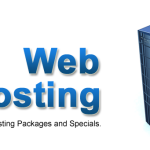 Host your Business or Personal website with our Fast, Reliable & Affordable Web Hosting Plans. They hosting server provde 99.99% Uptime. They also have amazing technical support. DomainKing web hosting starts From ₦175/month. Host your WordPress Blog on our Super Fast SSD Servers for best performance. Get upto 2X times faster loading WordPress websites with our Premium WordPress Hosting. DomainKing WordPress hosting starts From ₦533/month. Get a powerful managed VPS hosting for your growing website. Includes WHM/cPanel, full root access & fully Managed support. Do you need a cheap web hosting plan for your website or business? If yes, get it here from DomainKing.Ng. 1. Linux Platform: PHP, CGI, Perl Support on Linux OS. 2. Full Email Suite: Supports Webmail, SMTP, POP3, Forwarding to other Emails. 4. CMS & Ecommerce Support: They provide 1 Click Install for all CMS & Ecommerce Softwares like WordPress, Oscommerce. 5. Loads of Tools: CPanel, File Manager, DNS Manager, phpMyAdmin, Website Statistics & lot more. 6. Customer Support: You can reach their customer support team anytime you need help with anything. They also provide custom website design to clients since 2008. 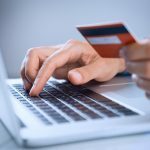 You can securely buy any of their services with local payment options in Nigeria like Interswitch/Verve Cards, Visa/Mastercard, GT Bank Transfer, GT Bank Cash Deposit, Voguepay, Cash Envoy & Etranzact/PocketMini. Nigerian & International clients can also pay them using global payment methods like: Paypal, Payza & Webmoney. Get your web hosting package from DomainKing.Ng at affordable rate. Is DomainKing.NG Web Hosting Good? Yes, they are good. They offer good web hosting services at affordable price. DomainKing is one of the best & most reliable Web Hosting Company in Nigeria. Their cheap Web Hosting is ideal for all businesses types including blogs, personal & business websites. In addition to this, they offer 24×7 Technical Support & 99.9% Uptime Guarantee on all their hosting plans at the most affordable prices to their clients.